Building bridges where history builds walls. The story of Moses, his wife Tzipporah, and their family situation outlines the dynamics and challenges of many interfaith relationships. It is fascinating to see the intermarriage stresses that surfaced in Moses’ life and how they compare to issues we confront today. What’s going on here? Moshe/Moses is being sent by God to go back to Egypt to assume the leadership of the people of Israel, and to take the lead in a ten plague confrontation with Pharaoh that would lead to the Exodus. As the one who would henceforth lead this people for forty years, it was crucial that he model for them the kind of faithfulness that God required of the Jews. But here he was, with a son who had not been circumcised! Reading between the lines it is easy for us to see what is going on here. Apparently, Tzipporah his wife was opposed to the idea! Remember now, this is an intermarriage! Moses apparently acquiesced to her refusal, but God was not pleased. Therefore, as they stopped in a lodging place during their journey back to Egypt, “ADONAI met Moshe and would have killed him.” To God it was a big deal that the iconic leader of the children of Israel should model to them faithfulness to the covenant by circumcising his son. Whew! What an intermarriage conflict! Now, I can sympathize. I have been at enough b’ritot millah [circumcisions] to see how repugnant this is for mothers who have only for eight days been nursing their precious little babies. It is a tough thing for them. 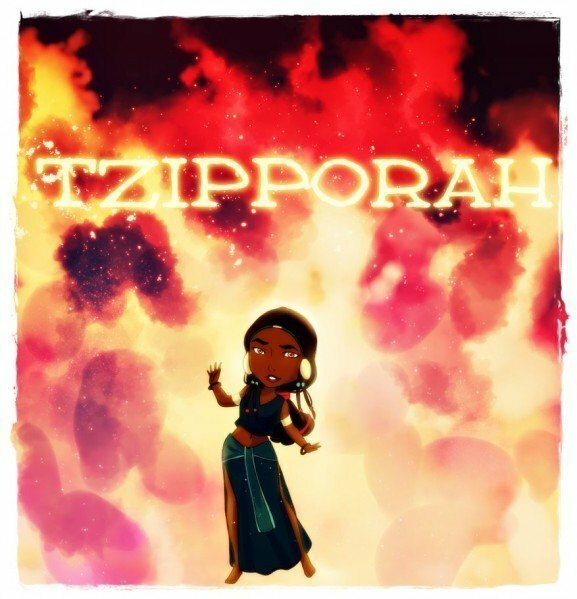 But in addition to this, Tzipporah is at an early stage of relationship with her husband’s God and his tradition. This is no covenantal imperative for her, and she wants no part of it. Although at first she prevails over Moses, and she must have been a fiery woman, after God seeks to slay him, she realizes she has to comply. But does she like it? You know the answer to that one! Especially with the coming of children, if you are intermarried, you can count on experiening friction, even sharp friction, over matters of religious ritual. These tensions are multiplied because the children born are also the grandchildren, nieces, nephews, and cousins of the members of both families of origin of the husband and wife. I know one couple where the wife comes from a home where Christmas and Christmas decorations are always a big deal. But her Jewish husband would not allow these things in the house with their children, and even found visits to their Christian grandma at Christmas time threatening. Now this may not become a battle line for you, but you can be sure that some sort of battle will come. There’s a Tzipporah situation waiting out there for you, and it pays to prepare for it. You may write us at info@interfaithulness.org, or call us at 626-765-4359. Thanks, Sandi. ABout forty years ago I had a conversation with a gentile woman I knew, who was a worker with Jews for Jesus along with her Jewish husband. I knew her to be someone who had fully invested herself in embracing the Jewish people and way of life. I remember her surprising me by volunteering that “intermarriage is very difficult.” I think it is not just the obvious issues that come up to bite you, but also other matters which people do not anticipate. In a future video and in a blog posting of mine I compare these issues to brush fires, to mudlsides, and to earthquakes that threaten the stability of the home that people build together. A interfaithfulness we endeavor to help pnticipate and handle these issues, and our deep respect for and experience with both the Jewish and Christian context plus much experience and education helps us to help others. Great post, Stuart…and I like the notion of making contact possible through email or phone. If you haven’t had a chance to look at what we are doing with the Judah and Tamar story, you might want to grab a peek at our website. http://judahandtamar.com. Both of us will welcome your comments! WOW! I will take a peek. I DO plan to blog from time to time about the various intermarriages in the Bible. A very illuminating experience. I too am intermarried, and haven’t sorted out all of my thoughts / feelings about it yet, as I’ve been more focused on supporting my husband and daughter as they broke away from my church/Christianity model and moved toward Judaism. Now I’m ready to explore intermarriage issues more, however I’ve seen so much Gentile insecurity and frankly–a bit of weirdness–that I’m just a bit gun-shy. I don’t believe that one needs to be Jewish to matter to God, and I’m against appropriating a pseudo Jewish identity; I believe we Gentiles have a vital role to play that we’ve not recognized, due to RT. Jewish/Gentile distinction is important, but am not sure how to feel about it in a marriage. Just a few thoughts, I’ll be looking forward to more of your posts Rabbi. Wow, I did not remember this story. I can’t believe I’ve never heard anyone teach on this, EVER. I am right there with her and I feel Tzipporah’s pain, times 2 circumcisions. This has indeed been a costly, bloody battle. Thanks for chiming in, Rachael. I have been to quite a few brisses, and I cannot remember one in which the mother didn’t look pale and distraught, being comforted by other women. It generally goes right against the grain of a woman’s STRONG maternal bond with that new little fella. But of course this dismay is multiplied when the woman comes from a culture where such things just aren’t done! Yet, this is simply a vivid illustration of the kinds of tensions that surface in interfaith marriages, which tensions you understand quite well.